Weeds are really enemy #1 in most gardens, including mine. Various chemicals are available for weed control in the home landscape, but one may wonder, what are some more sustainable methods of control? That's what we'll discuss in this post. The first step in effective management of weeds is correct weed identification and a basic understanding of the weed's lifecycle. In terms of control, it's important to know whether you're dealing with an annual or perennial weed. An annual weed can be effectively controlled by preventing the plant from going to seed, but a perennial weed is not so easy. This is where a good weed ID book comes in handy and the master gardeners at your local extension office. Give them a call and they can help you identify what weed you have and tell how to manage it. Next, understand that when manually removing weeds it's best to keep your cultivation as shallow as possible. Anytime you're bringing up new soil to the surface, you're also bringing up new weed seeds ready to germinate. Just be aware that there is always a bank of new weed seeds ready to germinate when they reach optimal conditions at the surface. 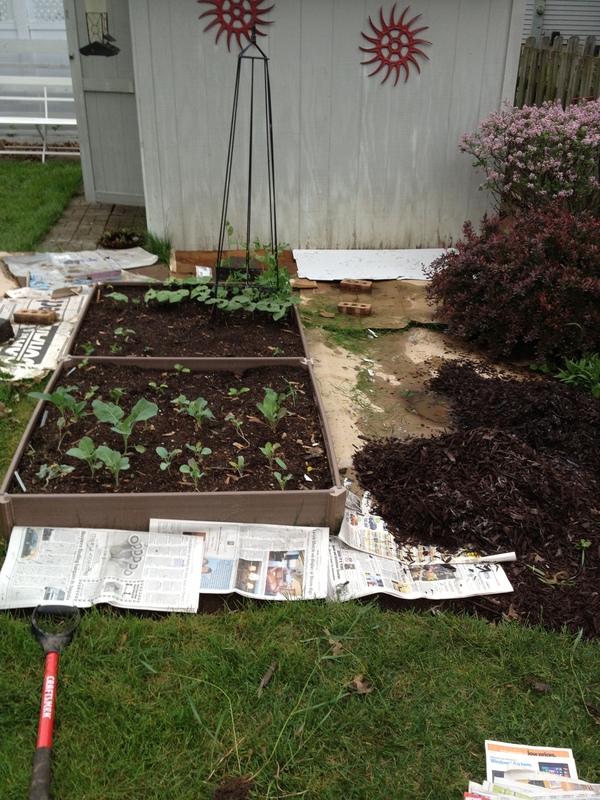 Research has shown that a higher amount of microbial activity can help decrease the number of seeds in the soil. Try to incorporate a lot of compost and organic matter into your soil to keep the soil as healthy and full of microbial activity as possible. Really the best control method for weeds is good old fashioned manual removal and that is certainly the most sustainable method. It may be labor intensive and not very fun, but as long as you stay vigilant and get to a group of weeds while they're young and remove them before they set seed, you really can get good control over weeds in your gardens. One of my favorite ways to control weeds in the landscape is to smother them and prevent light from coming into contact with them so that they can't germinate. 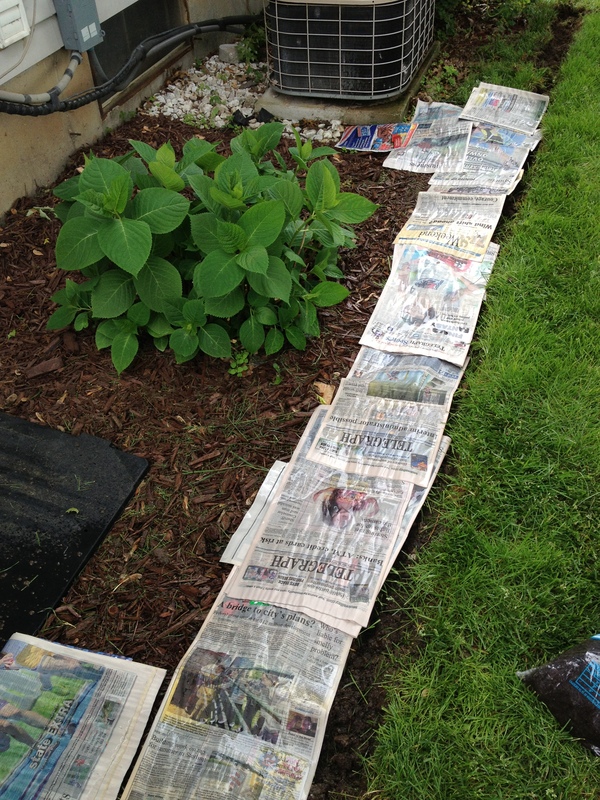 Sustainably, cardboard or a couple layers of newspaper under your mulch are great at providing good weed control in my landscape. 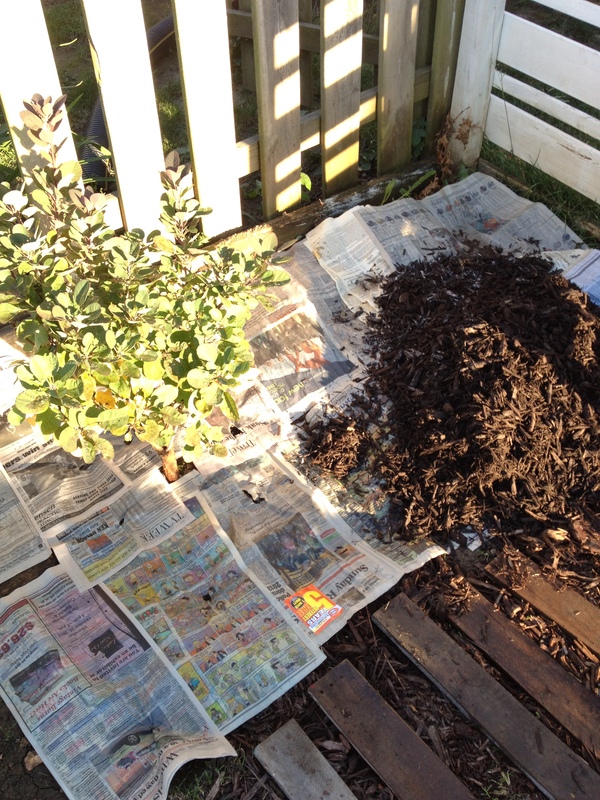 Over time the cardboard or newspaper will eventually degrade, making it much easier to get back in the garden and divide plants and move things around as well. If an herbicide is required to prevent a weed invasion, it is important to first read and follow the label directions exactly as stated on the product container. Call your local extension office with any questions you may have.